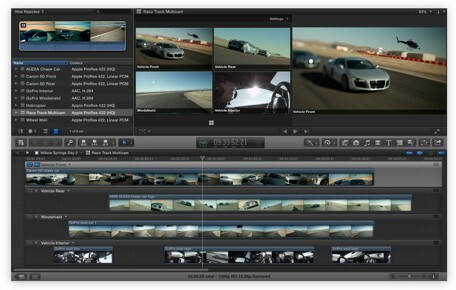 Sean J Vincent Blog: Using FCPX...another update. It's been a month of FCPX editing for me... I've been working on a trailer, a music video and a motion graphics project. I've got to the point now where having to go back to FCP7, which i used for years is a scary prospect. I don't go back to FCP7 often, but for the trailer i'm working on, i have to grab the clips i need from a project cut in FCP7. It just reminds me what a pain in the arse FCP7 was...i can't believe i stuck with it for as long as i did. FCPX had a hard start in life. Lots of people (me included) gave it a harsh welcome when it didn't work how we wanted it to. We couldn't make our way of editing fit with the new way Apple wanted us to work. We resisted. On top of the unfamiliarity of it all, FCPX used to crash...a lot. I tried it several times, and some of those times i was getting on well...but then it would crash and lose my work. I can't put up with that. But... it doesn't do that anymore. I've been working on it solidly for months and it's very very stable. Everything i used to be able to do in FCP7, i can now do in FCPX...only quicker. The plug-in support is phenomenal. There's so many great plug-ins available and so many of them are very reasonable in price. I enjoy working on FCPX... it's very creative. It's easy to try things out and then go back and try another way. The lack of 'tracks' is so liberating... as is the way you don't have to stop to render all the time. Here's something for the crowd that aren't convinced... maybe you moved from FCP7 to Premiere Pro or Avid: It takes a while...but one day, it just clicks. You suddenly realise how fast you're working and how little the interface is getting in your way. Looking at Avid or Premiere Pro now is like looking into the past...how things used to be done. Apple got it right with FCPX... it took some time to iron out the kinks... but they got there. I'm genuinely excited to see where FCPX goes now... it's a new product still and it's getting better and better with every update. The support for this software is huge... TV productions and features are slowly but surely making the move and it's rare now to find an editor who has given this a fair test that doesn't like it. The only editors i know that still don't like it haven't actually got into it enough yet... it took me a few projects before it all clicked, but it was worth it. 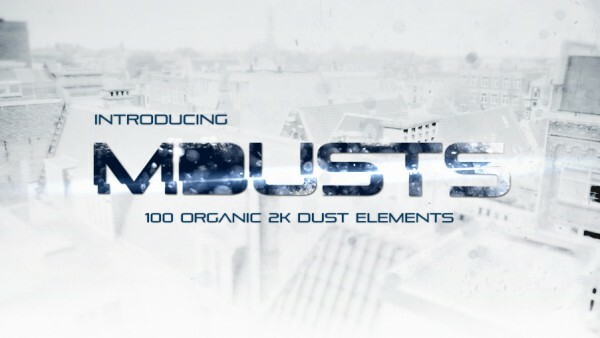 This week a row broke out between two of the companies that make and sell FCPX plug-ins... Motion VFX released 'MDusts' - a collection of dust footage handily supplied as a plug-in for FCPX. 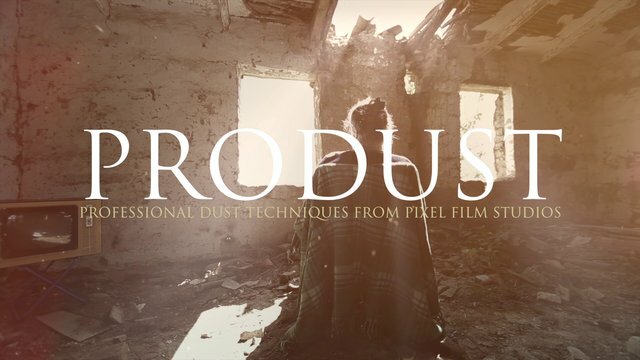 Then, a few days later, Pixel Film Studios released 'ProDust'...a collection of dust footage also handily supplied as a plug-in for FCPX - only cheaper. The row broke out because the dust footage in 'ProDust' was the same raw footage that Motion VFX shot themselves for the 'MDusts' plug-in... in other words - theft. Ouch. But... Pixel Film Studios denied it... .then eventually said that a 'rogue employee' had done it without their knowledge and they had in fact shot their own dust footage which was now being re-released in the 'ProDust' plug-in. Who knows what really happened here...? To a certain extent..who cares? Some people have said that there are few of us who have never used a dodgy mp3 or movie before, so what's the difference? The difference is repackaging someone's hard work (and intellectual property) and then re-selling it. Anyway... They've agreed to let the matter go... I've got products from both of them and seeing as no one can really say what happened, i'm not going to stop blogging on either of them.. Life's too short. Let's just hope it stops..
VFX - Shoot or Animate?